It is the final week of the month again and you know what that means, Pay Bills Time! 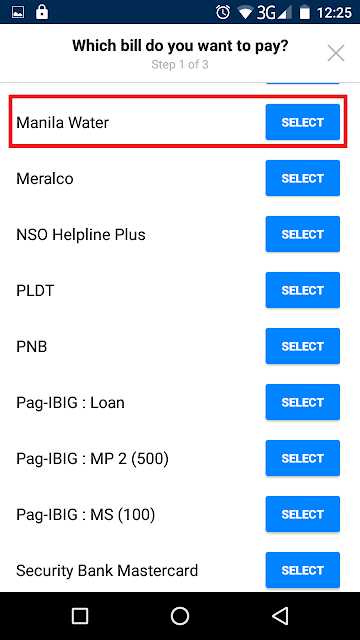 Yung hindi mo pa nahahawakan ang pinaghirapan mong pera pero naka-allot na sila para sa mga bayarin. To conciliate us [<<this is just me imagining], GCash Messenger has a promo for us. 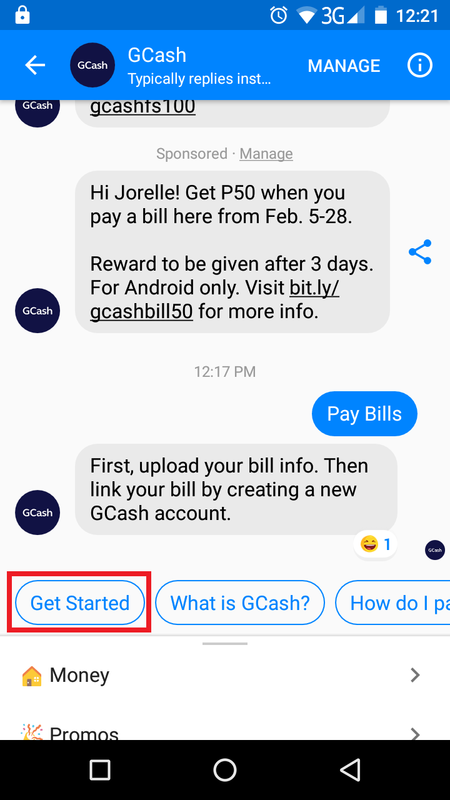 As mentioned, for your first two (2) bills paid using GCash Messenger, you get P50 rebate each, for a total of P100. I tried it on February 08 and paid our water bill via GCash Messenger. I just tapped on Pay Bills and GCash auto-replied with the choices below. I just tapped on Get Started. I chose which bill I am paying for. 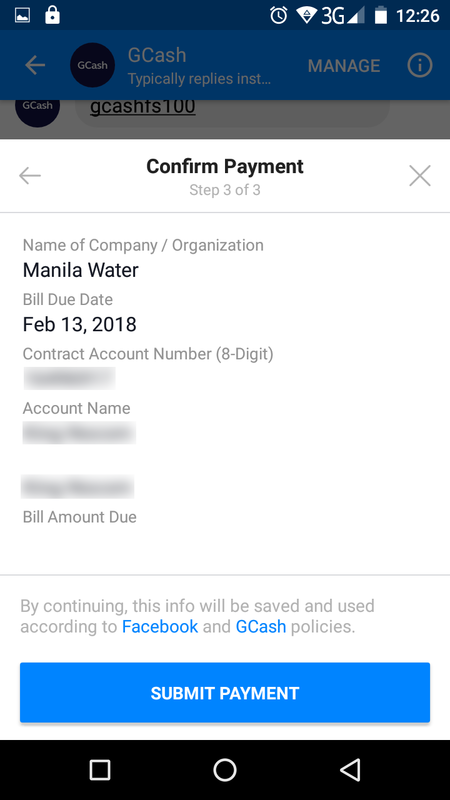 And entered the bill information. 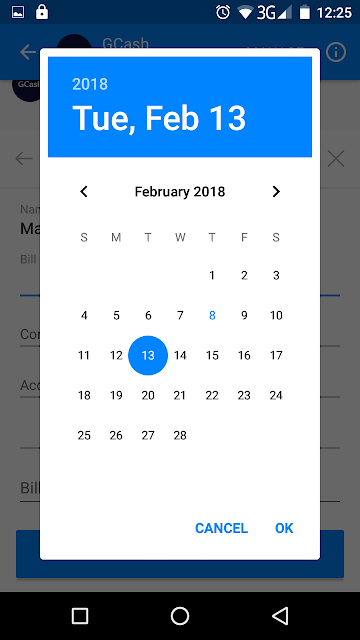 Below appears when you tap on Bill Due Date and just choose the right information. 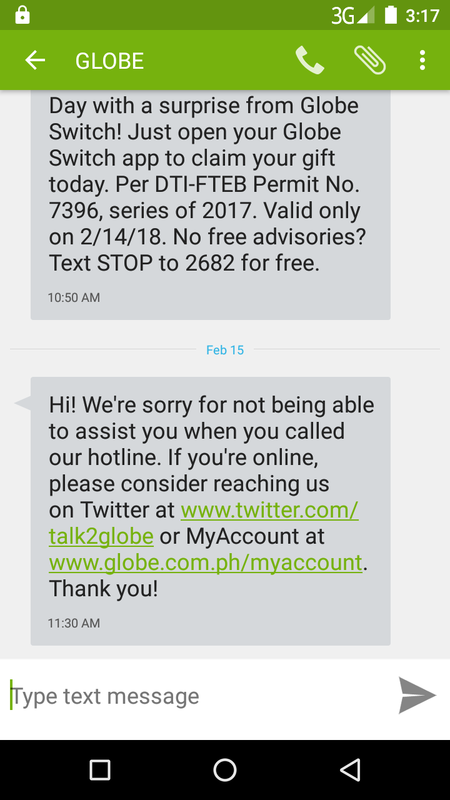 As for the Account Name, it does not let me continue to the next page without filling the blank below it so I just typed the name twice then there I was able to continue. 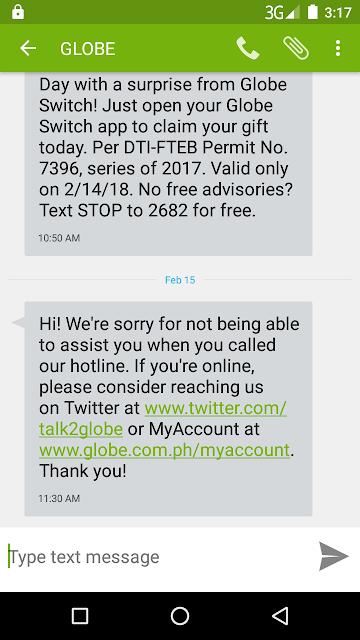 I typed the name on both row. 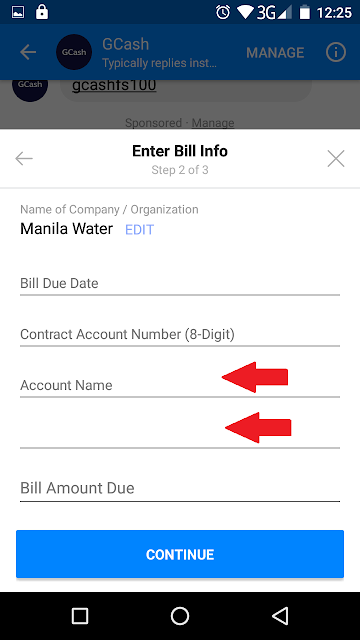 Lastly, fill in the Bill Amount Due and select Continue. 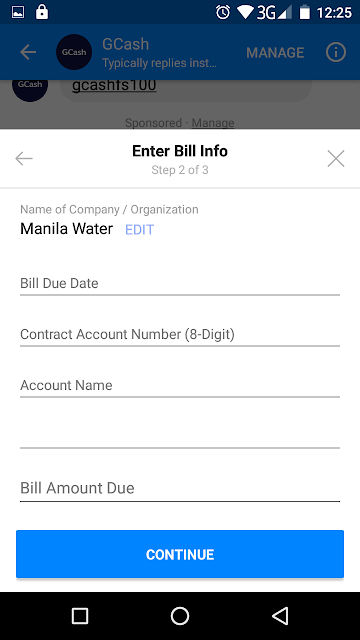 Then the summary of your details will be displayed. 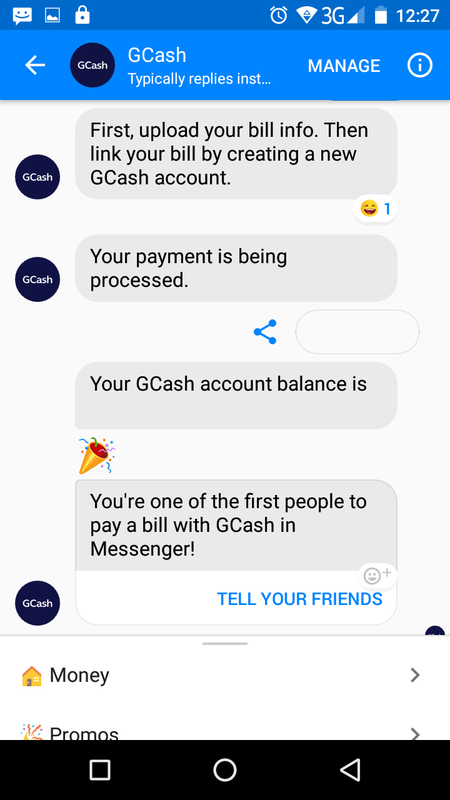 I just tapped on the Submit Payment and it is done! 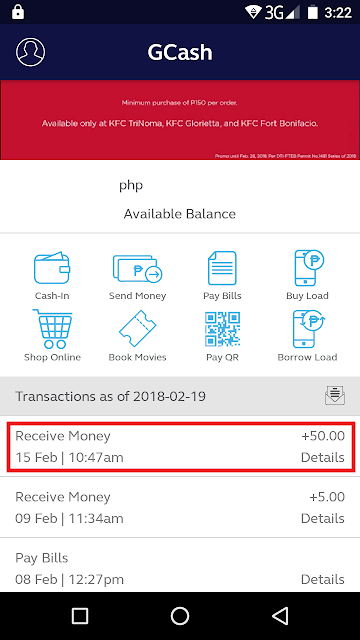 The rebate will be processed within (3) working days as per their promo details. 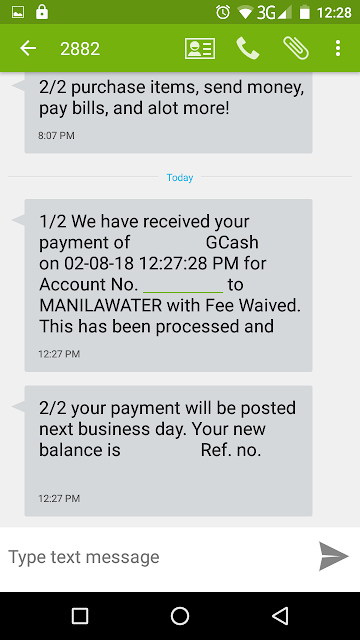 But come February 13 which is the 3rd working day from the time I paid, I did not receive my rebate. 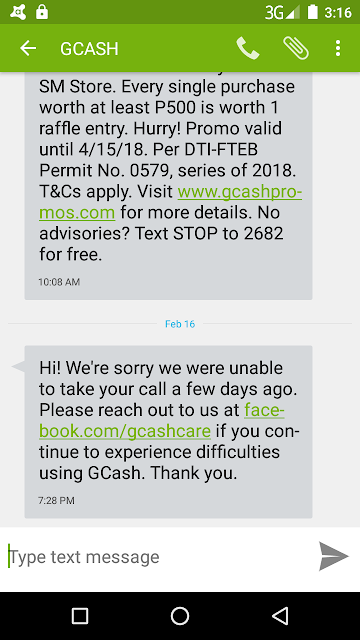 I called GCash hotline 2882 the next day but I became impatient being on the waiting line for minutes so I hung up and just sent a message on GCash Care on Facebook for my concern. 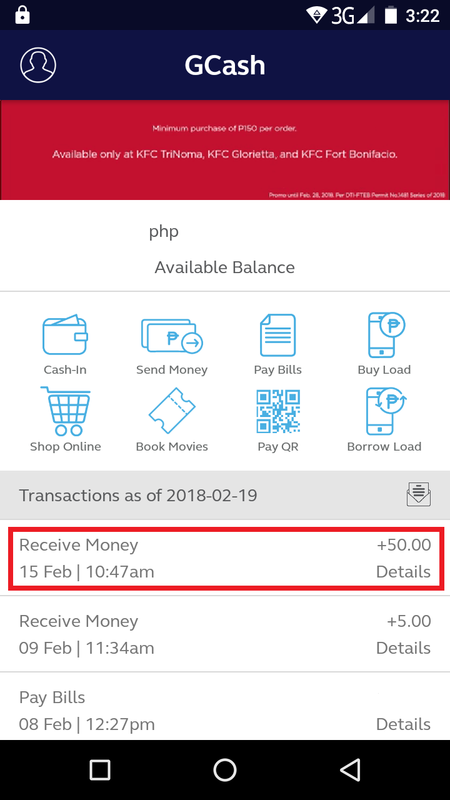 Although I have not received a reply from them as yet, my rebate was reflected on my account the following day, February 15. 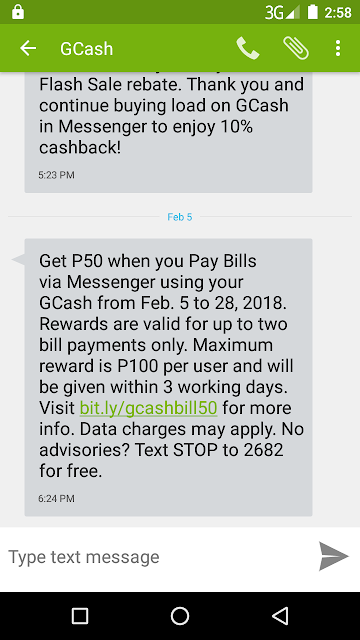 This promo is from February 05 to 28, 2018.